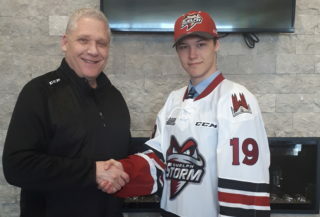 The Guelph Storm announced today that Nate Schnarr is the Player of the Week for the week ending October, 8th. 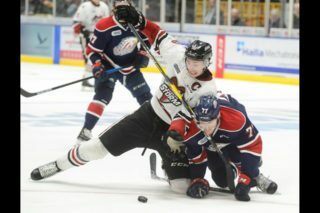 Returning to game action on Friday night versus the Windsor Spitfires, Schnarr was held off the scoresheet but managed 2 shots. Saturday night against the Kitchener Rangers, the Waterloo native found his groove burying two goals and helping his team defeat the Rangers 5-2. Schnarr had a +2 rating on the game and was named first star of the game. 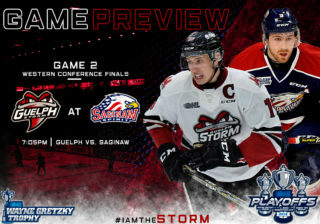 Up next the Storm visit the Flint Firebirds on Wednesday for some rare midweek action before returning home on Friday night to face off against the Niagara Ice Dogs. 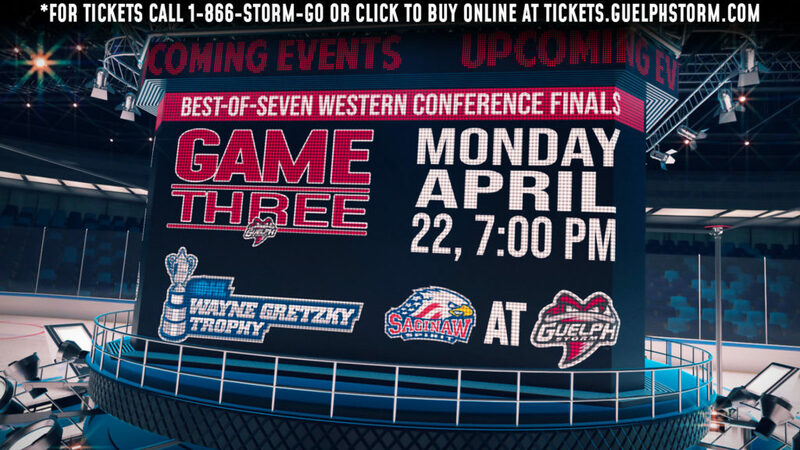 Saturday they travel to Sarnia for a 7pm start.